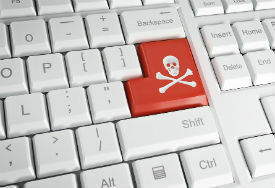 Canadian ISPs are calling on the Government to prevent copyright holders from using the country's notice-and-notice scheme to forward piracy settlement demands. These notices can be intimidating to Internet subscribers and are seen as abusive by many. In addition, the ISPs would like to see a more standardized approach to the notices, which will save on processing costs. Following a long series of debates, Canada modernized its Copyright Act several years ago. This included a new “notice-and-notice” scheme, which went into effect early 2015. As a result, Internet providers were required to forward all copyright notices they receive from rightsholders to their customers. Providers that fail to comply, face damages up to $10,000. This notice-and-notice scheme created a safe harbor for Internet providers, protecting them from copyright holder lawsuits. At the same time, however, their Internet subscribers faced a new threat. In theory, the copyright notices were supposed to be relatively harmless, merely informing subscribers that their connections are being abused to pirate content. However, it soon became apparent that the system was also being used by some rightsholders to send settlement demands. This problem initially garnered quite a bit of attention in the press and among politicians, but later faded away. However, now that Canadian lawmakers are working on a new update of copyright law, it’s being brought into focus again. During a hearing before the House Heritage Committee last week, Pam Dinsmore of Rogers Communications mentioned that her company sends roughly 2.4 million notices per year. Like other ISPs, Rogers is not against the system itself, but it believes that updates are required. This was the focus of an earlier hearing last month before the INDU committee, where Canadian ISPs including TekSavvy, Shaw, Rogers, and Bell shared their experiences. One issue all parties appeared to agree on is that the notice-and-notice scheme should ban settlement demands. “Some notices include content that’s more familiar from scams and spam: advertising for other services, settlement offers, or personalized links that secretly reveal information about the end-user to the sender,” Kaplan-Myrth said. “This puts ISPs in a difficult position, since we’re required to forward notices to end-users, including whatever extraneous, misleading or harmful content may be included,” he added. TekSavvy recommended that the notice-and-notice scheme should be updated to ban these types of settlement notices as well as other unrelated info. This ban on settlement requests or other clear abuse was shared by Shaw, Rogers, and Bell. “We’re a supporter of getting rid of settlement demands coming to consumers. That’s not appropriate. It should be written out of notices,” Bell’s SVP of Regulatory Affairs, Robert Malcolmson said. Another notice-and-notice issue that was brought up by several ISPs is standardization. Right now there is no uniform notice template, which means that it’s hard to process all of them automatically. This makes it more expensive. “On average, we receive thousands of infringement notices per week. They come from dozens of companies and use scores of different templates, fewer than half of which can be processed automatically,” TekSavvy’s Kaplan-Myrth said. TekSavvy sees the costs that are involved with the notice processing as a significant burden for the company. What’s making it worse, perhaps, is that rightsholders themselves have almost no barriers when it comes to costs. Adding a small fee to submit requests could level the playing field and prevent abuse at the same time, the ISP suggests. “Currently there’s essentially no cost for rights holders to send infringement notices. As long as they can send notices at no cost, then even if they get settlements from only a small number of end-users, there will be a business model for rights holders to send greater and greater volumes of notices,” Kaplan-Myrth noted. The standardization call is shared among all ISPs although there are some variations in what this should look like. TekSavvy doesn’t want the notices to reference any external content, for example. However, Bell, which is also a copyright holder itself, wouldn’t mind adding the option to use the copyright notices to point subscribers to legal alternatives. “I’m not sure it would be such a bad thing, from a public policy standpoint, for the notice to say, (a) you’re consuming this content illegally and (b) there’s another source of legal consumption, and here it is,” Bell’s Malcolmson said. While that last part is up for debate, there is a broad call for a more standardized approach to copyright notices. Getting rid of the settlement demands is also widely supported. And since the Government previously indicated that it would like to get rid of these excesses too, that’s high on the agenda for the upcoming reform of copyright law. Just to be clear, the notice-and-notice scheme is different from the regular legal actions copyright holders can take. Even if automated settlement notices are banned, rightsholders can still go after pirating subscribers in court. That’s more resource intensive and expensive though.